Using PowerPoint in the Classroom provides teachers with an effective quick reference guide through the PowerPoint programme. 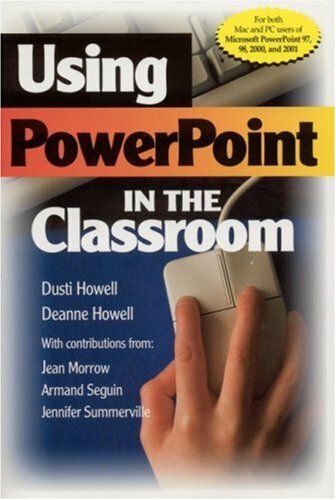 Covering both Mac and PC instructions, the book is applicable for classroom management and student projects. Journal. In 1994, he received the Jenkins Service Award, the highest service award given by the Mineola School District's PTA Association. He received his MA in mathematics from Hofstra University, was awarded a Professional Diploma in educational administration from Long Island University, C. W. Post campus. He recently was selected by the School Administrators Association of New York State to receive its 1999-2000 New York State Distinguished Assistant Principal of the Year Award. His most recent publication was The Elementary School Principal's Calendar: A Month-By-Month Planner for the School Year. What PowerPoint Version am I Using?